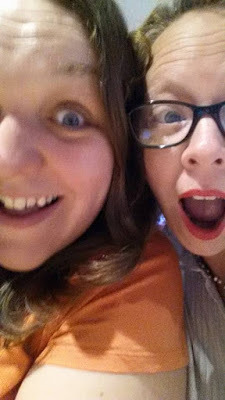 I was looking through Facebook posts last week for one my friend Vikki made one Christmas (never let it be said that I don't know how to procrastinate) and I came across this one of the two of us together. I saved it into my pictures folder and every time I open the folder up, it makes me smile. I can't even remember where we were or what we were doing, but it looks like we were having fun.